Melanoma is a type of skin cancer which occurs when the pigment-producing cells of the skin (melanocytes) start to grow and divide more rapidly than usual. Melanoma is almost always curable if identified and treated early. However if left untreated, melanoma can invade the deeper layers of your skin, which contains blood vessels and lymphatic vessels. This allows it to spread to other parts of the body making it difficult to treat and sometimes fatal. The number of melanoma diagnoses in the UK has increased recently to over 15,000 each year. It is one of the most common cancers in people aged 15-34 years but 50% of people diagnosed are over 65. 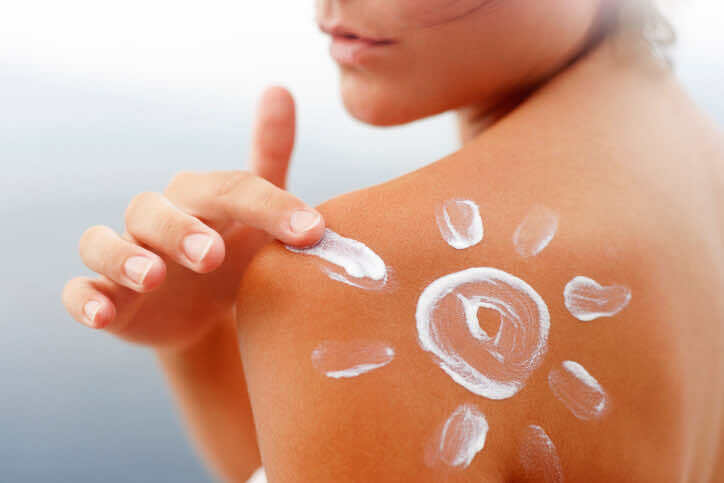 Ultraviolet (UV) radiation from the sun or sunbeds, especially sudden intense exposure leading to sunburn (often occurring on holidays abroad), is the main cause of melanoma and is likely responsible for increasing rates in recent years. Whilst everyone has some risk of developing melanoma, having pale skin, blonde or red hair, many moles and freckles and a first degree relative who has been diagnosed with melanoma, increases your risk. There are four types of melanoma. Nodular melanoma is invasive and aggressive, whilst the other types invade more slowly. The first signs of melanoma may involve a skin change or a new mole. Alternatively melanoma can develop from a pre-existing mole or freckle. It is important to examine your skin monthly, from head-to-toe, to identify any potential skin cancers early. Take notice of new moles or growths, or any significant changes to existing moles or skin lesions. Use the ABCDE guide to assess moles and, if you have more than one abnormal feature, arrange to see your GP as soon as possible. Lack of symmetry is a suspicious sign. A mole with irregular, uneven or crusty boarders is concerning. Healthy moles are usually the same colour throughout. A variety of colours (two or more shades), especially white or blue, can be a bad sign. Melanoma can come in any size, although moles larger than 6mm are more suspicious. A mole changing in size, shape or colour is suggestive of melanoma. Differentiating normal moles and melanoma can be difficult, so if you are unsure always show your GP. Melanomas can occur anywhere on the body, but most commonly affect men on their back and women on their legs. This is rare and usually identified at a routine eye examination with eyesight changes and sometimes a dark spot on the eye. Your GP will examine you and if they suspect melanoma they will refer you to a skin specialist doctor (dermatologist) for further testing within two weeks. The dermatologist will use a magnifying instrument (dermatoscope) to examine the area closely, and take photographs of the area. Your specialist may reassure you that it is harmless, or ask you to come back after 3 months to check for changes. Most commonly, a suspicious mole will be surgically removed (biopsy), and sent to the lab for testing. If the results confirm cancer you may have further tests to assess if it has spread to your organs, bones or blood stream. These include ‘sentinel node biopsy’ for your lymph glands, blood tests, and body scans such as CT, MRI or PET. There are also subdivisions within these stages. A team of specialists will look at the type of melanoma you have, the stage of your cancer and your general health to advise you on your best treatment option. For stage 1 to 2 melanoma, surgery is performed to remove a wider area of skin (wide local excision), to make sure the entire melanoma is removed. Following removal, the risks of it returning are very low and no further treatment is needed. Stage 3 melanoma usually requires additional surgery to remove affected lymph nodes, which can cause fluid to build-up in your limbs (lymphoedema). Regular monitoring is often advised after treatment. Treatment for stage 4 melanoma is much more effective nowadays than in the past, and uses targeted treatments and immunotherapy to slow the spread of cancer, extend life expectancy and reduce symptoms. Surgery, radiotherapy and other medications can be offered for symptom relief. If you have advanced melanoma you may choose not to have treatment if it is unlikely to extend your life or improve your symptoms significantly. In this case, nursing care and pain medications (palliative care) will be available for you. For information on receiving support and advice if you have been diagnosed with melanoma visit the Cancer Research website, or speak to a doctor who can suggest some support services to meet your needs. If you’ve noticed a suspicious looking mole (whether old or new, big or small), it’s always best to get it checked out by a doctor, such as an experienced private doctor at London Doctors Clinic. In some cases, the doctor may simply reassure you that the mole is nothing to be concerned about; however, if the doctor agrees that the mole in question is suspicious, the sooner you are referred for specialist investigation, the better. Book in for a same day doctor appointment today at any of our London clinics for the peace of mind that you might need.